Southern Style Turkey Sausage Gravy over Southern Style Old Fashion Buttermilk Biscuits is the epitome of Southern cooking. Even though I grew up in Miami, which is in the Southern United States, it is not really considered “The South,” we did have our share of “Southern” type dishes in various areas. The middle part of the State, Ocala, Eustis, Umatilla, Leesburg, however, are very Southern. I went to Camp Ocala, which is located in Umatilla, Florida for many summers. I also lived in Charleston, South Carolina for a few years, so I am very familiar and love Southern cooking. If you like Southern Style Gravy and Biscuits, I think you will enjoy my healthier version of “Sausage” Gravy, made with ground turkey. Using ground sage in this recipe, will give you the sausage flavor. Start out with less seasoning and adjust the seasonings according to your own taste. I make my own seasoned salt. You can always add more, but you cannot take it away. I prefer a thinner gravy, but remember, it thickens as it cools. Just adjust to your preferences. 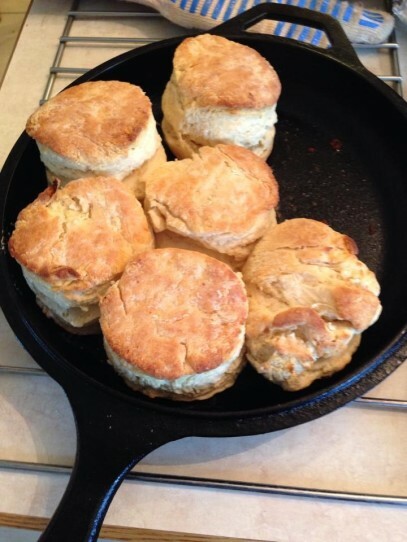 Make sure you have a big batch of my Old Fashion Buttermilk Biscuits. Brush them with a little melted butter and cover with a cotton towel to keep warm. Sausage Gravy over Southern Style Old Fashion Buttermilk Biscuits are delicious for breakfast with some eggs, yum. It does, however, make a great dinner. 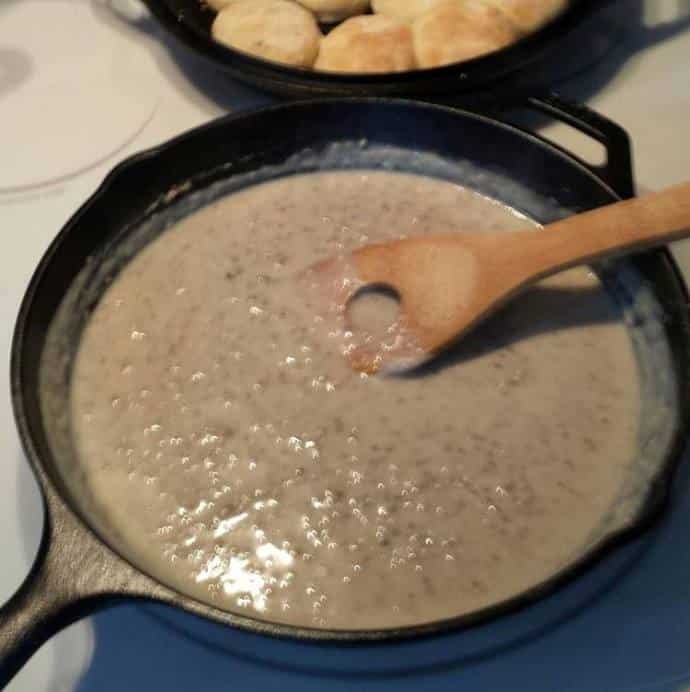 My husband and I have had Southern Style Turkey Sausage Gravy over Southern Style Old Fashion Buttermilk Biscuits, many a time for dinner. It is so easy and can be made without much planning. The ingredients are always in the house, so, whenever the mood strikes, we are armed and ready. If you would rather use sausage instead of turkey, just cut down on the seasonings. Taste as you go. Serve over Southern Style Old Fashion Buttermilk Biscuits with some scrambled eggs on the side, for a true Southern experience. More Southern Style Recipes You Will Love. Heat 10-12 inch cast iron skillet over medium high heat. Add Olive Oil and wait until it sizzles. Using your fingers, rip small pieces of turkey from package and add them in a single layer to a large heavy skillet. Brown the turkey, until no longer pink. Add butter to skillet and allow to melt. Sprinkle half of the flour over turkey and mix in until well combined. Add more, a little at a time until all the flour has been incorporated into the turkey. Continuing stirring for another minutes and them slowly pour in 3 cups or more of milk. Cook the gravy, stirring frequently, until it thickens, about 10 to 12 minutes adding more milk, if needed. Sprinkle sage, seasoned salt and pepper over turkey and continue cooking until thick. If gravy is too thick, add I more milk. Taste and adjust the seasoning, as needed. PIN this Southern Style Turkey Sausage Gravy! OMG thank you! I first had vegetarian biscuits and gravy at a great diner in college in Indiana (not a common dish in Chicago where I grew up) and I loved it. It’s so hard to find in a turkey version (I don’t eat red meat). I can’t wait to try this! If I don’t have seasoned salt, what should I add in addition to the salt? I may not have sage, I may only have poultry seasoning. Will that be too overehelming? It’s pretty sage-heavy as I recall. Now if only I could make good biscuits. I make them like a upper Midwesterner/Calufornian. Badly. ? Thank you for your message. 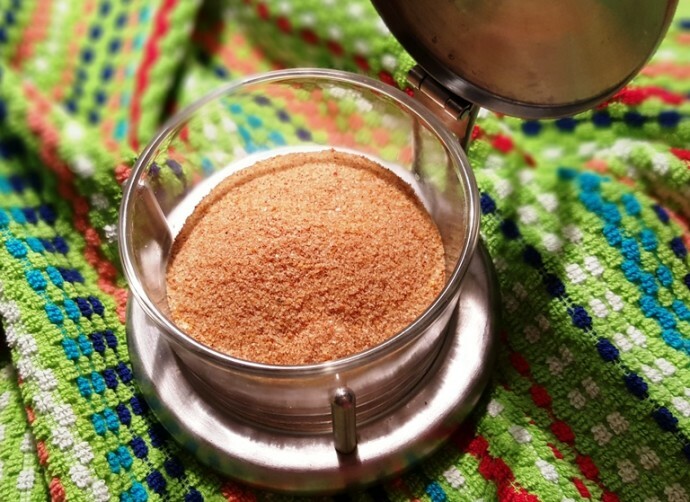 You reminded me that I forgot to add the link for my homemade seasoned salt. You may surprise yourself with the biscuit recipe. I hope I made it clear how to make them, so they turn out well for everyone. I don’t know about the poultry seasoning, but you could try and if it doesn’t work, then pick up some sage. Some poultry seasons are more sage heavy than others. Let me know how the Turkey Sausage Gravy comes out…and the biscuits too. Hi!! I’m trying this tonight. I’m from Eustis! I saw it mentioned in your intro!